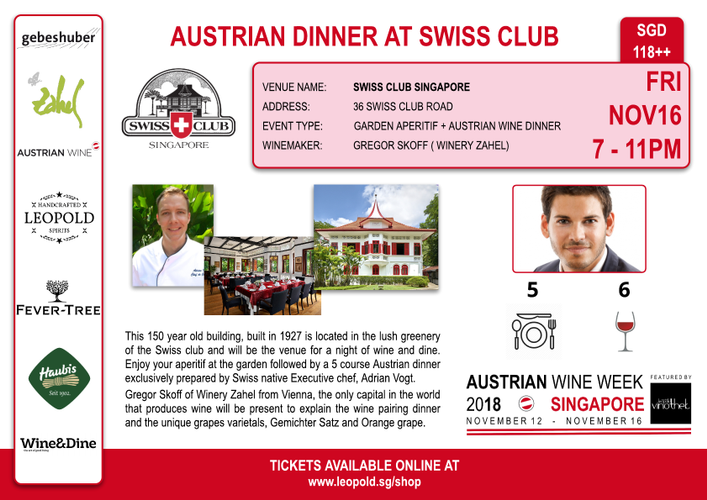 Swiss club Singapore open it premises to public for this one night special. This exclusive private club will be the location for the Austrian Wine Week finale. The evening begin with aperitif at the garden and followed by a five course Austrian sit down dinner prepared by Swiss club’s Executive chef Adrian Vogt. The dining experience will be accompanied by Gregor Skoff who will be explaining and pouring the best wine of winery Zahel.